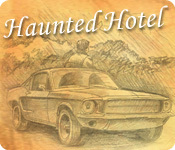 After crashing his car on the side of the road, a bewildered traveler finds himself checking in to the Haunted Hotel! In Haunted Hotel, you must explore frightful floors full of spooky rooms to find Hidden Objects in creepy crevices. Immerse yourself in a thrilling adventure full of mysterious mini-games and addictive Hidden Object game play! Haunted Hotel is rated 2.9 out of 5 by 39. Rated 5 out of 5 by NellGwyn from Lots of "Old School" Fun! I downloaded the trial version on a whim and found myself buying this game immediately. It has enough variety to keep me interested and some good (and sometimes hard) hidden object scenes to keep this HO lover satisfied. No, the graphics aren't fancy, but the fun in the game play made up for this. At first I didn't care for all the reading but then realized that having to read the journal was better than some games with bad voice overs. Love having to charge the elevator with different challenges. 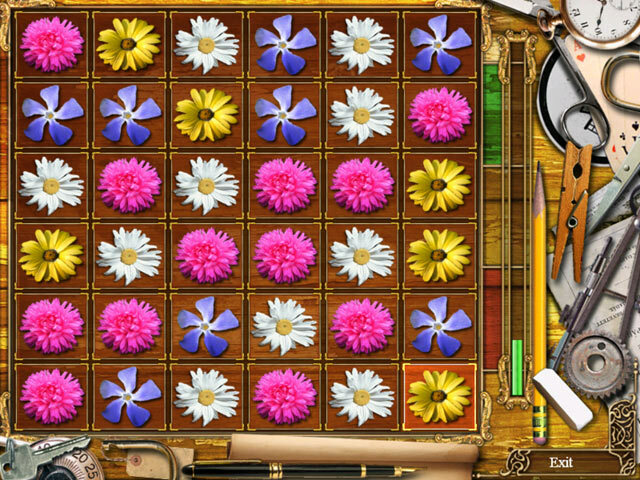 This game helps my brain exercise as it tests a number of different skills. Some of the muted backgrounds and carefully hidden objects really made me work at times to accomplish the goals. If you want something more sophisticated, than this isn't for you. But if you want some variety and a bit of fun, give it a try. Rated 5 out of 5 by dawnajanek from One of my very favorite games I don't read the stories so I can't comment on that but the game is very interesting and the mini games are fantastic. The "music" is not annoying like on most games and all the secret items make it even more fun. Rated 5 out of 5 by Powrtoc1 from Nice afternoon game This game I first played about five years ago, and was one of my first HO games. The story line made little sense, but the minigames were worth it. There is no "skip" button on the games, but if you hit "close" your elevator still gets charged up. I like the Haunted Hotel series, especially the later ones. Rated 5 out of 5 by Gojira2006 from Weird - But Mostly Fun . . . This is pretty much a series of hidden object scenes with some interesting mini-games & puzzles: such as match three, untangle the rope, energy balls & capturing letters to spell a word - which occur at the end of each level or chapter . . . In between the levels are long, wordy - & very weird - chapters in a narrative describing the strange goings-on at the hotel . . . These narratives really don't have a strong link to the overall game play, though . . . 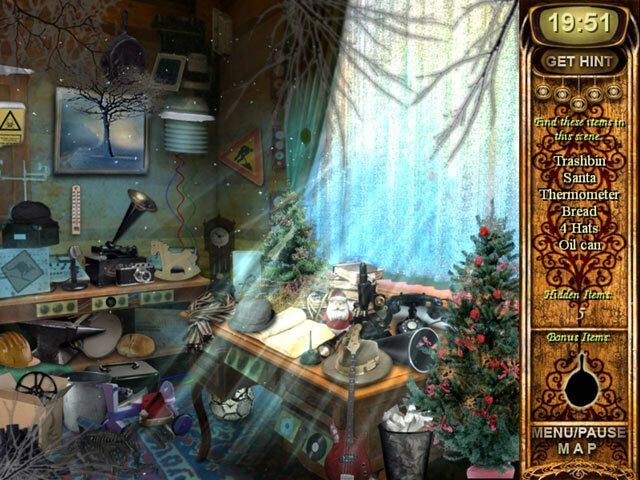 The graphics are fair, at best - which make the hidden object scenes that much more of a challenge . . . 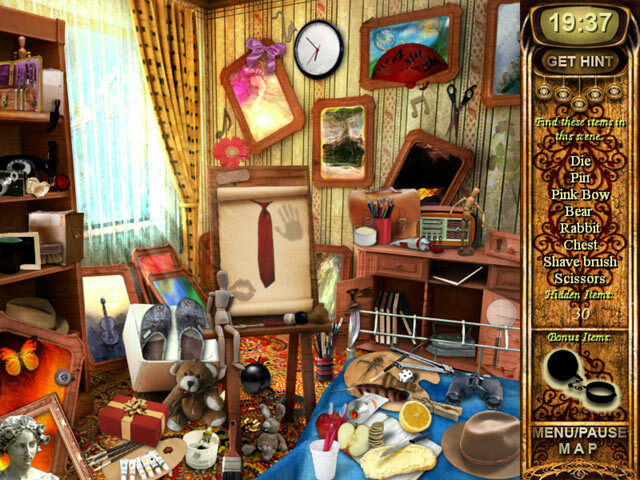 The hidden object scenes are timed play only, but extra hints or time can be earned by finding bonus items . . . What with twenty minutes or more with added bonus minutes, the time allotted to finish each level is generous . . . A short game by normal standards, it grew on me . . . Rated 4 out of 5 by farfromthefar from It is not like watching a train wreck -- much I love this game. I cannot give it 5 stars because it is not in that league. At the same time I cannot give it 3 because I adore it. It is a long droning narrative that begins with the star phrase "It was a dark night" and actually has the nerve to add as I drove down a "dark and long road" Now this is some of the best bad writing I have ever read. I would love to meet the author who hardly ever lets you see that he is talking with his tongue in his cheek but never stops doing it. The game is a hoot. You can no more compare it to other games than you can compare chess and Twister. Okay Twister is a stretch but you get the idea. Try it. If you hate it after a while no worries but if you are a sarcastic person give it a chance, it will seem like mother's milk. Rated 4 out of 5 by AngelQueen36 from Good in a weird way I've had this game plus the two that follow for about 6 months and didn't quite understand it but decided this weekend to at least try it and see what's up with it. Not to challenging which is sometimes a plus, visual/sound quality was wonderful and the storyline was a little weird and sometime down right confusing but really enjoyed it. Very enjoyable for first time and vets of HOG's. Rated 4 out of 5 by rubyreds111 from I liked this game could of been a bit longer but I don't like games that have a lot needless roaming around to get to a hidden object room. I like finding hidden objects and the games you have to play after you completed a floor. Rated 4 out of 5 by kong1975 from Good hidden object game Enjoyed playing this game. There's better ones out there but this does offer enough challange to keep you going. Rated 4 out of 5 by meridi from fun game Enjoyed this game, not very difficult but it didn't need to be. The game would be more suited for the younger kids.